Mainland Chinese cinema has come a long way since the days when Hong Kong’s Shaw Brothers dominated much of the Chinese commercial market in the 1970s. The growth of mainland Chinese film industry has been going so fast in the past 20 years that many interdisciplinary fields and subfields of Chinese Cinema Studies were developed. Trends come and go very quickly, and when they do return, it is never the same as the last. The Chinese cinema industry, excluding the subdivided cinemas of Hong Kong and Taiwan, closed off to international media after the Communist Revolution, but with the end of the Cultural Revolution and the reformation policies of Chairman Deng Xiaoping in the early 1980s, the nation’s film industry also opened up. The early success of China’s Fifth Generation filmmakers (1982 Beijing Film Academy graduates), including Zhang Yimou (张艺谋), Tian Zhuangzhuang (田壯壯), and Chen Kaige (陈凯歌) in the mid to late 1980s, paved the way for Chinese cinema to reach international recognition, but even then only cinemagoers who hold a particular taste in film were able to fully appreciate the jettisoned style of Fifth Generation film making. They were not box office friendly, and most Chinese blockbusters at the time were only helmed by Hong Kong producers and featured only Hong Kong superstars. But Chinese films escaped the shadows of Hong Kong film making just as quickly as the fallen industry had come back to prominence from political censorship. Breakneck developments and rapid devotion construct the astronomical growth of China’s economy, and China’s film industry is no different. China’s film market has experienced a progress like none other in the past decade. From being one of the world’s most overlooked film industry to becoming the world’s second largest after Hollywood, Chinese cinema is definitely a disciplinary worth studying. The first interesting trend in Chinese cinema began in 2002, with the release of the star-studded martial arts film Hero <英雄>, produced and directed by Zhang Yimou. Zhang’s Hero successfully planted the seed that created a new trend for high-budgeted Chinese film making. Fifth Generation directors, internationally known for featuring anti-socialist-realist themes in their older films, stepped out of the web of independent “art house” film making to invest on larger, fantastical productions. At the time of its release in October 2002, Hero was known as China’s most expensive and highest-grossing motion picture in history. Produced at 217 million RMB, Hero secured a worldwide box office figure of over 1.2 billion RMB, a phenomenal and unexpected success. Chinese films that were produced after Hero, such as 2003’s Warriors of Heaven and Earth <天地英雄>, 2005’s The Promise <无极>, 2006’s The Banquet <夜宴>, and 2009’s Wheat <麦田>, all made by Fifth Generation directors, tried to emulate the ambitiousness of Hero by incorporating similar historical settings, color schemes, and epic wuxia elements. However, these films either failed at the box office or became underwhelming and forgettable movies. Zhang’s House of Flying Daggers <十面埋伏> was the only post-Hero-esque film that had achieved significant success both in China and out. Despite the growing trend of Chinese blockbuster productions, mainland China still had to operate within the influence of Hong Kong. 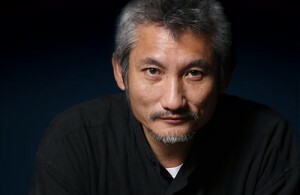 Zhang’s Hero was a co-production with Hong Kong, and critics credited the roundup of Hong Kong superstars – Tony Leung (梁朝偉), Maggie Cheung (張曼玉), and Donnie Yen (甄子丹) – as major success contributors to the film. 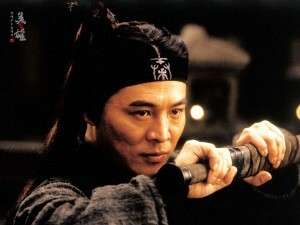 Even Jet Li (李连杰), a Chinese actor, was touted as a partial Hong Kong actor because he was most known for his Hong Kong films. Hero itself was also inspired by Hong Kong’s already well-established action genre as well. Holding onto Hong Kong’s thriving film industry and reputation, most of China’s blockbusters during this era were co-produced by Hong Kong film studios, with Hong Kong actors starring in leading roles. Zhang, arguably the only commercially successful Chinese director at this time, churned out his last big-budget period hit in 2006, Curse of the Golden Flower <满城尽带黄金甲>, which featured Hong Kong actor Chow Yun Fat (周潤發). Curse of the Golden Flower was also the last Chinese-directed film to rake in big money in the mainland box office. Zhang’s subsequent films, A Simple Noodle Story <三枪拍案惊奇>, Under the Hawthorn Tree <山楂树之恋>, and The Flowers of War <金陵十三钗>, had mediocre turnouts. Critically-acclaimed director Feng Xiaogang’s (冯小刚) Back to 1942 <一九四二> was also a disappointment. The glory in mainland Chinese period films was over, and it seems that Chinese moviegoers were no longer interested in seeing the same, rehashed material over and over again. Hero’s success in China eased the way for Hong Kong directors to seek new opportunities in the mainland, and from 2005 onwards, mainland Chinese cinema saw a rise of Hong Kong directors helming Mandarin-language projects. This began when Tsui Hark (徐克) introduced his wuxia film Seven Swords <七劍> to China. The film is an adaptation of Liang Yusheng’s Seven Swords Descent from Mount Heaven <七劍下天山>, a wuxia novel that only had one 1959 Hong Kong film adaptation prior to Tsui Hark’s reboot. Following the box office success of Seven Swords, Peter Chan (陳可辛), Stephen Chow (周星馳), John Woo (吳宇森), Derek Yee (爾冬陞), Alan Mak (麥兆輝), Felix Chong (莊文強), and other Hong Kong filmmakers went ahead to release commercially successful films in China. Like what Zhang did in Hero, Hong Kong directors hoped to bring the mainland audience with films that are big-budgeted, star-studded, and with their own artistic flavor. Hong Kong’s fast-paced Hollywood filming style engrossed the mainland audience. Period films were brought back into the box office charts, and Hong Kong historical action films such as A Battle of Wits <墨攻>, The Warlords<投名狀>, An Empress and the Warriors <江山美人>, and Painted Skin <畫皮> became unforgettable popcorn flicks. After John Woo’s Red Cliff <赤壁>, Hong Kong directors reached a bottleneck in the mainland film industry. The only successful Hong Kong-directed period film after Red Cliff was Tsui Hark’s Detective Dee and the Mystery of the Phantom Flame <狄仁傑之通天帝國>. The 3D spectacle of Hollywood’s Transformers film series changed the narrowed perspective that Chinese moviegoers had towards their own films, and China’s own Hero-like movies were no longer considered as groundbreaking. Not only were Hong Kong films failing in mainland China, they were also failing in Hong Kong. In fact, the failure of big-budget Hong Kong films in its own market was one of the reasons why Hong Kong directors turned to mainland. Hong Kong moviegoers prefer to watch well-crafted Hollywood films, American TV shows, and low-budget local films. Local romantic comedy Love in a Puff <志明與春嬌> became a huge success in Hong Kong. Even the low-budget Category III film Vulgaria <低俗喜劇> broke box office records. Hong Kong and Chinese co-produced films, such as Flying Swords of Dragon Gate <龍門飛甲>, The Lost Bladesman <關雲長>, and Shaolin <新少林寺> failed to make it big in Hong Kong. As for mainland China, co-produced films fared much better in their territory, but critical reception was often mixed. As a result, some directors tried their hands at directing new material, such as science fiction and psychological thrillers, but these films were largely overshadowed by their Hollywood counterparts. As Hong Kong directors returned to their local film market to produce smaller films, many Chinese directors also did the same and reverted back to “sixth generation” film making. Sixth Generation filmmakers – referring to those younger directors that reached international recognition after the Fifth Generation – rose to prominence after a period of making underground films. Sixth Generation filmmakers had been around since the early 1990s. Their amateur and cheap film making, documentary-styled shooting, individualistic themes, and preferences for casting non-professional actors, made Sixth Generation filmmakers to be the subject of many interdisciplinary Chinese cinema studies. Sixth Generation directors never produced commercially successful films, but with China eager to greet new talents, these underground directors were able to have the opportunity to shine. Directed by Ning Hao (宁浩), 2009’s Crazy Racer <疯狂的赛车> came at the top of the box office, earning over 100 million RMB in mainland China. That same year, Lu Chuan’s (陆川) City of Life and Death <南京！南京！> also trailed through 170 million RMB. Around this time, Wang Xiaoshuai (王小帅) released his most commercially successful film, In Love We Trust <左右>. Other similar drama films directed by Sixth Generationers, including White Deer Plain <白鹿原>, Guns N’Roses <黄金大劫案>, Eternal Moment <将爱>, and The Chef, the Actor, the Scoundrel <厨子戏子痞子> all soared passed 100 million RMB in box office receipts; the latter film was the most successful, ending its theatrical run with over 270 million RMB. Several conclusions can be drawn as to why Sixth Generation filmmakers became sudden box office bonanzas. First, they did not make action-packed costume dramas. Second, they were willing to think out of the box and chose to pursue their own forte, rather than imitate the success of their predecessors. Third, their films had low production budgets, and thus had higher profit margins. In the last two years, mainland Chinese cinema is faced with yet another new trend – the rise of so-called “newcoming” directors and their recent box office hits. The name of this new trend, however, is quite misleading. Recent breakthrough directors such as Li Yu (李玉), Xu Jinglei (徐静蕾), Xu Zheng (徐峥), Xue Xiaolu (薛晓璐), and Vicki Zhao (赵薇) are being dubbed as “newcoming directors” by the Chinese media, but as established artists who have already accumulated years of work experience prior to their major directorial debuts, the epithet “newcoming” is not quite suitable. Xu Jinglei, Xu Zheng, and Vicki Zhao were all established box-office stars before they transitioned to directing films. Li Yu is not an actress, but she is nevertheless an experienced player, as she has already made seven independent films prior to her million-dollar hit, Double Xposure <二次曝光>, in 2012. Xue Xiaolu was a prominent film screenwriter herself before she began her directing career, which exploded after the number one romantic comedy film, Finding Mr. Right <北京遇上西雅图>, earning over 575 million RMB in the box office. This new phenomenon for newcoming directors is also having an effect in Hong Kong and Taiwan – Hong Kong’s Charlie Yeung (楊采妮) is currently preparing for her directorial debut, Christmas Rose <聖誕玫瑰>; Taiwan’s box office champion, You Are the Apple of My Eye <那些年，我們一起追的女孩>, was the debut of Giddens Ko(九把刀) as a director. So why are these “newcoming” directors finding such great success? How are they different from past Fifth Generation, Sixth Generation, and Hong Kong directors? Like their preceding Sixth Generation filmmakers, newcoming directors were willing to spin the wheel. They branched out to adopt new trends and styles in their films – most of mainland China’s recent box office hits were modern films instead of historical epics. In addition, newcoming directors aimed at a different target audience – women. The recent box office booms like Finding Mr. Right, Love Is Not Blind <失恋33天> and the youthful So Young <致我们终将逝去的青春> are romantic comedy films, which appeals female viewers. Indeed, this new trend harbors a sexist approach towards filmmaking, but with China’s rapid social change in recent years, it is never a bad idea to try something new. This year’s mainland Chinese film scene continues to see the rise of new directors, modern films, and trendy concepts, but with China’s restless atmosphere, the future is never predictable. What an interesting article! Thanks for the read! It is wrong to say this new trend of film-making harbors “a sexist approach towards filmmaking”, as they are filling a market niche by targeting their films towards women. Nothing is stopping other film-makers from making big action blockbusters targeted towards a young male audience. So why doesn’t the writer also lable those huge action movies and wuxia films from the past 20 years called a “sexist trend”? The film market trend goes according to demand and supply ie. if there’s a demand for certain types of films in the market, then those will be produced more. Many audiences today are just bored with period films and action movies featuring fantastical superheros – as if these are the only types of films that China is capable of producing. Recent trends show that audiences appreciate more personal, smaller films with interesting, quirky or unique subject matter, issues that people can relate to. >So why are these “newcoming” directors finding such great success? How are they different from past Fifth Generation, Sixth Generation, and Hong Kong directors? They’re not doing anything new but rather they do what America has been doing for years: star-studded ensemble casts, high-budget productions showing the sleek modern-chic architecture and skylines of Beijing, Shanghai, etc., and movies that are more suited for mass consumption. “Love” and “Love is not Blind” is a step away from the old “people’s struggle” theme and into the newer “young people’s love lives and lifestyles” theme which is more relateable to the post 80s and 90s crowd. And it’s not just romcom movies (thank you Hanyu wave) that appeals to people – adventure-comedy movies like the perhaps Hangover-inspired “Lost in Thailand” may show that audiences just want a fun old time in the cinemas instead of watching some ultra serious nationalistic pieces like “Founding of a Nation” which was pretty mediocre in the box office. I think every schoolkid under 13 could watch it for free since it underwhelmed and I think perhaps they counted their free admission into the ticket sales in the end. Based on your definitions, these “newcoming” directors are not that much different than the HK ones as far as commercial mindedness is concerned. It just that they are doing it better than the old HK crowd, who continue to use the same old formula over and over again. I really don’t know how to explain this actually. The newer romcoms that China/Taiwan/Korea come up with are really…uhh…cute? Yeah. Cute and/or polished. Very sentimental. Like, well, the 2001 hit “My Sassy Girl” had the intermission thing where the words came onto the screen with a *boing* sound. First person narration, a very out-there story yet was still able to provoke this very emotional response from the audience due to its likeable characters and themes. Same deal with “Love is not blind”. I watched “Love in Time” recently. It was just guy meets girl, guy dislikes girl who is his polar-opposite, oh-hai-opposites-attract!, girl meets new guy who likes girl, guy tries to get girl, girl likes guy in the end. The ending though, the ending was frikkin weird. I’m sure anyone who’s watched it will agree with me. Can’t find better words to describe the state of HK cinemas. why never mention the comedy “Lost in Thailand” and also Steppehn Chow as director for Journey to the West? HK cinema trend: Bad movies all year round. The industry is dead. Even Cold War is not that good of a movie and Vulgaria was severely overrated for the rubbish it is. I thought A Simple Life was a great film, one of the best to come out of HK in ages. And Johnnie To is still churning out some interest stuff, although he seems to focus more on the mainland market nowadays! I’ll never get tired of looking at Gong Li. I support Hong Kong films forever ! but a lot of mainland movies are… a bit too much?? hong kong films and mainland are the same T___T nothing new. Until they remove the censorship issue, Mainland movies will never be great. HKG cinema is declining to a certain extent due to lack of sponsorship/producers and the ridiculous money paid to actors (e.g. Donnie Yen, etc) just to grace the screen. Naturally with new technology, cgi, etc, we can never again deny the use of these in making movies and of course they do cost money. The current generation of actors/actresses in HKG still has a long way to go to catch up to their predecessors (people like Chow Yun Fatt, the two Tonys, ZZY, Gong Li, Jet, etc). HKG movies used to thrive on martial arts and they were good stuff. It’s such a joy to see a revival in this interest and icons like Sammo, Jackie, Yuen Biao, Yuen Wah are still around to lend support to a certain extent but the real need is to spot actors/actresses who practise the art to grace the screen in order to bring back reality. I enjoy watching historical epics and mainland cctv/other producers have churned out quite a few good ones. If only they could be made into movies but alas we know it’s impossible to turn 40 or 60 episodes into a 2-hour show.